Scott Harrison (@scottharrison) pivoted from hard-partying club promoter to life-saving charity founder. His first book, Thirst: A Story of Redemption, Compassion, and a Mission to Bring Clean Water to the World, is out now. Discover how you can get your foot in the door of an industry and claw your way to the top through hustle and creativity. Explore how you can expand your thinking and your horizons while divining a sense of purpose if you’re feeling lost or are ready for a change. Uncover how creativity and storytelling are the keys to creating an emotional connection with your line of work, product, or business — whether you’re selling overpriced champagne to investment bankers in Manhattan or securing life-saving, clean water for kids in Africa. Find out how prodigal son Scott Harrison returned from the self-serving world of nightclub promotion to save lives at the head of an organization that ensures 100 percent of its donations provide clean water to the people who need it most. Learn how plain old Scott became Lord Scott Harrison for fun and free upgrades. We’re all good at something. But do we use our skills by bettering the world for those around us, or do we selfishly squander our gifts for the glory of personal gratification? 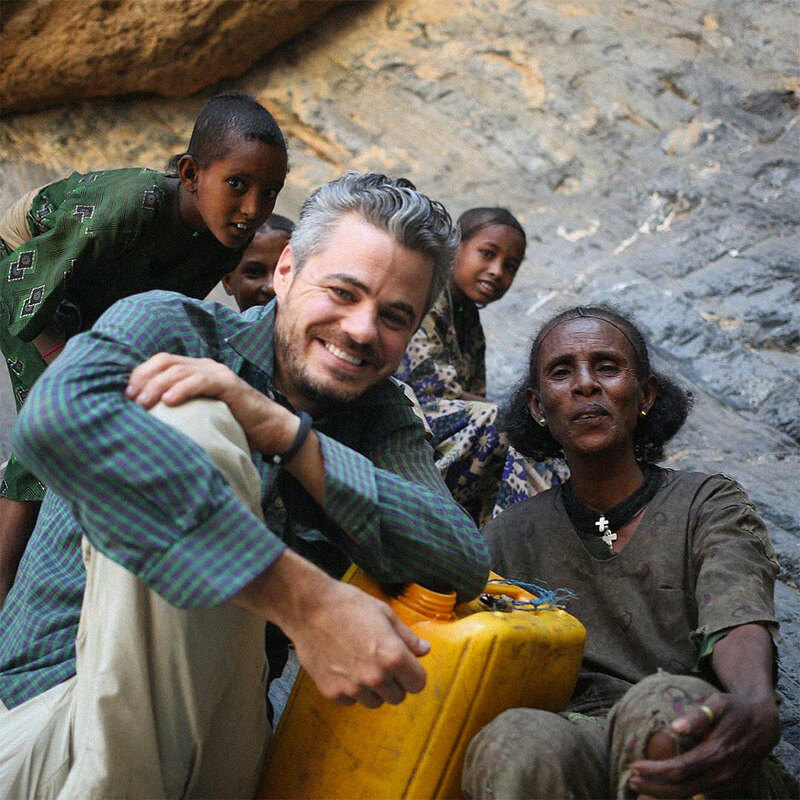 Scott Harrison, founder of charity: water and author of Thirst: A Story of Redemption, Compassion, and a Mission to Bring Clean Water to the World, joins us to talk about how he turned around a vice-addled decade as a club promoter on a fast track to an early grave to become the founder of a charity that aims to provide clean water to 100 million people by 2020. Listen, learn, and enjoy! When you want to change how you eat, you should do it slowly and make it permanent. One Fix will analyze all your meals, find one fix, and help you do it for a month. Go to getonefix.com/jordan and use the code JORDAN at checkout to get $50 off your first month! In spite of growing up middle class in the United States with what most would consider to be a pretty wholesome set of values, Thirst: A Story of Redemption, Compassion, and a Mission to Bring Clean Water to the World author and charity: water founder Scott Harrison hasn’t always been an example of selfless devotion toward making the world a better place. Gas company negligence turned his mother from supermom to an invalid in need of constant high maintenance, and his parents did the Christian thing by turning the other cheek instead of suing for millions of dollars they almost certainly would have gotten. Scott just wanted a normal childhood, but he couldn’t get over his bitterness at how unfair the world seemed. A fateful introduction to the VIP New York City nightclub life by a friend who knew people in the industry ushered Scott full tilt into the hedonistic lifestyle he’d been craving. Listen to this episode in its entirety to learn more about how Scott and his entire family’s lives were endangered when he was a kid (and his mother’s health never fully recovered) by something 21st century technology has since made an easy fix; the heavy toll on Scott’s own health, sanity, and soul he paid by spending 10 years as a VIP club promoter; what renewed Scott’s earlier values and turned his life around; the skills learned from days of decadence that transferred to building a charity empire that ensures 100 percent of its donations provide clean water to the world’s thirstiest people, and much more. Click here to thank Scott Harrison at Twitter!